Dengan rasa rendah diri saya mengesahkan bahawa posting yg saya telah buat di bawah adalah TIDAK BENAR. Penama di bawah telah berpindah dari bahagian POTM. Dengan ini, secara rasminya saya memohon maaf kepada pihak-pihak yg berkenaan e.g. nama-nama Vendor yang terdapat di bawah, kerana kekhilafan posting ini. tertarik dgn pendedahan artikel ini, saya telah membuat panggilan ke nombor yg tertera di atas (Masfiza), dan diberitahu bahawa tidak ada pegawai / kakitangan yang bernama sedemikian di jabatan yg dinyatakan. pada saya berita tersebut masih 50/50. Oleh kerana pihak saudara telah mengeluarkan artikel ini di blog saudara, saya rasa amat wajar saudara membuat pengesahan terhadap artikel ini dan sekiranya tidak benar, membuat penafian. mungkin ada baiknya perkara ini diadukan secara rasmi kepada JAKIM untuk membolehkan siasatan dibuat. Terima kasih Saudara Ibnu Daud kerana memberi respon kepada posting ini. Insya Allah saya akan buat semakan sekali lagi bg memastikan kesahihannya. You should not use this medicine if you have had an allergic reaction to any type of insulin or to products made from pigs. •	Your doctor will tell you how much of this medicine to use and how often. Your dose may need to be changed several times in order to find out what works best for you. Do not use more medicine or use it more often than your doctor tells you to. •	Your doctor will prescribe your exact dose and tell you how often it should be given. This medicine is given as a shot under your skin. •	Check the carton and the bottle label for the name and letter designation of the insulin you receive to make sure it is the same as that your doctor prescribed. Do not change the brand or dose of your insulin unless your doctor tells you to. •	Always observe the bottle of your insulin before every use. Do not use the medicine if it appears cloudy, slightly colored, or if it contains solid particles. •	You may be taught how to give your medicine at home. Make sure you understand all instructions before giving yourself an injection. Do not use more medicine or use it more often than your doctor tells you to. •	This medicine comes with patient instructions. Read and follow these instructions carefully. Ask your doctor or pharmacist if you have any questions. •	You will be shown the body areas where this shot can be given. Use a different body area each time you give yourself a shot. Keep track of where you give each shot to make sure you rotate body areas. •	Use only syringes that are specially made for insulin. It is best to use always the same brand and same type of syringe. Some types of insulin must be used with a certain type of syringe. Ask your pharmacist if you are not sure of which one to use. •	Use a new needle and syringe each time you inject your medicine. •	If you are using a reusable syringe, you must sterilize it before each dose. Follow the sterilizing directions that come with your syringes. Never share your needles and syringes with any one. •	Carefully follow your doctor’s instructions about any special diet. •	Your doctor may suggest that you follow an exercise program. You may also be taught to check your own blood sugar levels at home. Diet, exercise, medicine, and checking your blood sugar are all important to control your diabetes. •	Call your doctor or pharmacist for instructions. •	Store this medicine in the refrigerator. Do not freeze. If you cannot refrigerate keep it in a cool place away from heat or sunlight. •	Throw away used needles in a hard, closed container that the needles cannot poke through. Keep this container away from children and pets. •	Ask your pharmacist, doctor, or health caregiver about the best way to dispose of any leftover medicine, containers, and other supplies. You will also need to throw away old medicine after the expiration date has passed. •	Keep all medicine away from children and never share your medicine with anyone. •	Make sure your doctor knows if you are using steroid medicine such as dexamethasone, prednisolone, prednisone, or Medrol®. Tell your doctor if you are using diabetes medicine that you take by mouth such as glyburide, metformin, Actos®, Glucophage®, or Glucotrol®. •	Make sure your doctor knows if you are using birth control pills, salicylates (such as aspirin). Tell your doctor if you are using sulfa drugs (such as trimethoprim/sulfamethoxazole, Bactrim®, Cotrim®, or Septra®). Tell your doctor if you are using medicine for thyroid gland disease. •	Make sure your doctor knows if you are also using beta blocker such as atenolol (Tenormin®), metoprolol (Lopressor®), or propranolol (Inderal®). Tell your doctor if you are also using medicine for depression such as amitriptyline, fluoxetine, nortriptyline, Elavil®, Pamelor®, Prozac®, or Vivactil®. •	There are many other medicines that interact with this medicine. Make sure your doctor knows all other medicines you are using. •	Do not drink alcohol while you are using this medicine. •	Make sure your doctor knows if you are pregnant or if you are planning to become pregnant. Tell your doctor if you are breast feeding. •	Make sure your doctor knows if you have kidney disease, liver disease, or thyroid disease. Tell your doctor about all other medical problems you have before using this medicine. •	Your doctor will need to check your progress at regular visits while you are using this medicine. Be sure to keep all appointments. •	Your doctor will need to check your blood or urine at regular visits while you are using this medicine. Be sure to keep all appointments. •	If your blood sugar gets too low, you may feel weak, drowsy, confused, anxious, or very hungry. You may also sweat, shake, or have blurred vision, a fast heartbeat, or a headache that will not go away. If you have symptoms of low blood sugar (hypoglycemia), check your blood sugar. If your blood sugar is 70 mg/dL (milligrams per deciliter) or below, do one of the following: Drink 4 ounces (one-half cup) of fruit juice, or eat 5 to 6 pieces of hard candy, or take 2 to 3 glucose tablets. Re-check your blood sugar 15 minutes later. If your blood sugar is above 70 mg/dL, eat a snack or a meal. If your blood sugar is still below 70 mg/dL, drink one-half cup juice, or eat 5 to 6 pieces of candy, or take 2 to 3 glucose tablets. Carry candy or some type of sugar with you at all times, especially if you are away from home. You can take this if you feel that your blood sugar is too low, even if you do not have a blood glucose meter. Always carefully follow your doctor’s instructions about how to treat your low blood sugar. Learn what to do if your blood sugar gets too low. Teach friends, co-workers, and family members what they can do to help if you have low blood sugar. •	Always keep an extra supply of insulin as well as a spare syringe and needle on hand. Always wear diabetic identification so that appropriate treatment can be given if complications occur away from home. •	Your dose of insulin may change slightly with changes in your diet or physical activity. Your dose needs may also change while you are ill, pregnant, traveling, taking a new medicine, or exercising more than usual. Follow your doctor’s instructions about making any changes in your insulin dose. •	Allergic reaction: Itching or hives, swelling in your face or hands, swelling or tingling in your mouth or throat, chest tightness, trouble breathing. •	Fast or pounding heartbeat. •	Problems with speech, balance, or walking. •	Seizures, tremors, or shaking. •	Anxiety, confusion, or depression. •	Feeling nervous, restless, or agitated. •	Headache, or trouble sleeping or concentrating. •	Increased thirst or appetite. •	Redness, pain, swelling, or itching under your skin where the shot is given. •	Tingling in your hands, feet, lips, or tongue. Copyright (c) 2007 Thomson MICROMEDEX. All rights reserved. Information is for End User’s use only and may not be sold, redistributed or otherwise used for commercial purposes. The information is an educational aid only. It is not intended as medical advice for individual conditions or treatments. Additionally, the manufacture and distribution of herbal substances are not regulated in the United States, and no quality standards currently exist. Talk to your doctor, nurse or pharmacist before following any medical regimen to see if it is safe and effective for you. Please read the end user acknowledgement. You should not use this medicine if you have had an allergic reaction to any type of insulin. •	Use only the brand of this medicine that your doctor prescribed. Different brands may not work the same way. •	This medicine is to be taken by using special syringes. Your doctor will tell you which type and brand of syringe to use. Do not share your needles or syringes with others. •	If you are using reusable syringes and needles, you must sterilize them before reusing. Follow the sterilizing directions given with your syringes. •	Store this medicine in the refrigerator. Do not freeze. If you cannot refrigerate, keep it in a cool place away from heat or sunlight. •	Make sure your doctor knows if you are using birth control pills, medicine to treat depression, salicylates (such as aspirin), sulfa drugs (such as Bactrim®, Cotrim®,or Septra®), or thyroid medicine. •	Make sure your doctor knows if you are also using a beta blocker such as atenolol (Tenormin®), metoprolol (Lopressor®), or propranolol (Inderal®). •	Make sure your doctor knows if you are pregnant or are planning to become pregnant. Tell your doctor if you are breast feeding. •	Make sure your doctor knows if you have liver disease, kidney disease, or problems of the adrenal, thyroid, or pituitary gland. •	This medicine may make you dizzy or drowsy. Avoid driving, using machines, or doing anything else that could be dangerous if you are not alert. •	Your dose of insulin may change slightly with changes in your diet or physical activity. Your dose may also change while you are ill, pregnant, traveling, taking a new medicine, or exercising more than usual. Follow your doctor’s instructions about making any changes in your insulin dose. •	Feeling nervous or agitated. •	Redness, pain, swelling, itching, or a lump under your skin where the shot is given. Terlebih dahulu saya perkenalkan diri saya. 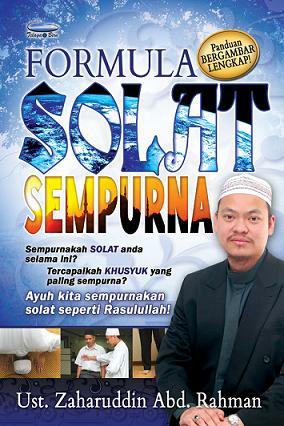 Nama saya Sharil Azrul dari smartSUFI.com. This is very hot information. I think I’ll share it on Delicious. saya nak tanya betul ke chocolate paste mengandungi lemak babi..saya mahu pihak yang bertanggungjawab menyiasat aduan ini dgn segera..
Alhamdulillah saya berminat dengan kandungan blog ini. Oleh itu saya ingin mempelawa tuan empunya blog ini menyertai HPA utk memperjuangkan produk halal lagi baik. Jika tuan sudah mengenali HPA dan telahpun menjadi ahlinya….. maka teruskan perjuangan ini dgn lebih gigih. Jika belum saya sudi membantu tuan. Penelitian adalah penting sebelum kita ‘percaya’ kepada sesuatu berita. Allah swt juga mahu kita teliti dahulu sebelum sebarang tindakan supaya kita tidak menganiaya pihak yang lain, atau sesuatu bangsa. Asm. saya adalah Masfiza Bt Abdul Hamid . Nama saya telah digunakan seperti yang dinyatakan oleh saudara administrator. Memang saya pernah bekerja di BPFK namun edaran hal ubat mengandungi babi dibuat selepas saya berpindah dari BPFK. Saya ternyata telah difitnah dan saya hampir diambil tindakan undang-undang atas fitnah ini. Namun Allah maha Adil. Harap nama saya dapat dibersihkan. Is it alright to insert part of this in my webpage if I publish a reference point to this web site? How come you do not have your web site viewable in mobile format? cant see anything in my phone. After I start your Feed it seems to be a lot of nonsense, is the issue on my part? I tried looking at your site in my ipod touch and the page layout doesnt seem to be right. Might want to check it out on WAP as well as it seems most smartphone layouts are not working with your website. Just to let you know your web site appears a little bit unusual on Firefox on my pc with Linux . Re: Whomever made the comment that this was an excellent website genuinely needs to get their head evaluated. I had been wanting to know if you ever considered switching the layout of your site? It is well written; I love what youve got to say. But maybe you could add a little more in the way of written content so people might connect to it better. You have got a great deal of text for only having one or two photos. Maybe you can space it out better? While I genuinely like this publish, I believe there was an spelling error shut towards the end of the third section. I experimented with taking a look at your blog on my cellphone and the structure does not seem to be right. Might wanna check it out on WAP as well as it seems most smartphone layouts are not really working with your web site. Hello, I just hopped over to your web page using StumbleUpon. Not somthing I would generally browse, but I enjoyed your thoughts none the less. Thanks for making something worthy of reading through. Re: Whoever created the remark that this was a great site truly needs to get their head looked at. Re: The person who produced the remark that this was an excellent website really needs to possess their head inspected. I believe one of your current ads caused my internet browser to resize, you may well need to put that on your blacklist. Jesus Christ there is lots of spammy feedback on this web site. Have you at any time believed about trying to remove them or installing a extension? Jesus Christ there is plenty of spammy feedback on this page. Have you ever before thought about trying to eliminate them or putting in a plugin? Jesus Christ there is lots of spammy comments on this website. Have you actually thought about trying to remove them or putting in a plugin? It looks to me that this web site doesnt download on a Motorola Droid. Are other people having the exact same problem? I enjoy this blog and dont want to have to miss it whenever Im gone from my computer. I adore that blog site layout ! How did you make it. Its rather nice. How do you make a blog site look this awesome! Email me if you want and share your wisdom. Id appreciate it. Re: The person who created the remark that this was a great website truly needs to have their head looked at. How did you make this site look this cool. Email me if you want and share your wisdom. Id appreciate it! I tried taking a look at your website on my blackberry and the format does not seem to be correct. Might wanna check it out on WAP as well as it seems most cell phone layouts are not really working with your web page. The look for the website is a tad off in Epiphany. Even So I like your site. I may have to install a normal browser just to enjoy it. I like the blog site layout ! How was it made!? Its rather nice. How did you make your blog site look this awesome. Email me if you get the chance and share your wisdom. Id be appreciative. Just to let you know your web page appears a little bit strange on Firefox on my pc with Linux . Hello, I just hopped over to your web-site through StumbleUpon. Not somthing I might typically read, but I enjoyed your thoughts none the less. Thanks for creating some thing worth browsing. Please email me with any hints about how you made your blog site look this cool , I would appreciate it! A cool blog post right there mate ! Cheers for it . When I start your Rss feed it appears to be to be a lot of garbage, is the issue on my side? Wanted to drop a comment and let you know your Feed is not functioning today. I tried adding it to my Bing reader account but got absolutely nothing. Im getting a teeny issue. I cant get my reader to pickup your feed, Im using yahoo reader by the way. I have got one suggestion for your website. It seems like at this time there are a couple of cascading stylesheet issues when opening a selection of webpages in google chrome as well as opera. It is functioning okay in internet explorer. Possibly you can double check this. This website has lots of very useful info on it. Thank you for helping me. Most of the opinions on this particular blog page dont make sense. I experimented with taking a look at your site in my iphone and the layout doesnt seem to be right. Might want to check it out on WAP as well as it seems most smartphone layouts are not really working with your web site. I love the site layout . How was it made? Its very nice! Is it fine to put part of this in my weblog if I publish a reference to this web site? Have you considered including some social bookmarking links to these sites. At the very least for youtube. This site has got a lot of very useful info on it! Thanks for sharing it with me. An interesting post right there mate . Thanks for it ! I was basically curious about if you ever thought of modifying the layout of your web site? It is very well written; I enjoy what youve got to say. But maybe you could include a little more in the way of written content so people might connect with it better. You have got an awful lot of wording for only having one or two images. Maybe you can space it out better? I Will have to return again when my course load lets up – however I am getting your Feed so i could go through your web blog offline. Thanks. When I originally left a comment I clicked the Notify me any time new comments are added checkbox and currently every time a comment is added I get four emails with the exact same comment. Jesus Christ theres a lot of spammy feedback on this page. Have you ever before believed about trying to get rid of them or putting in a plugin?